At Synergy Health in Naples, we know that the natural process of aging and osteoporosis can put a strain on a person’s bones. That’s why our clinic is fully dedicated to providing the latest bone-strengthening treatments for our patients. You might not even realize you have osteoporosis until you have a fracture or notice a change in your posture. In fact, most people could have significant bone loss without even knowing it. Throughout our lifetime, our bones are constantly being rebuilt. As we get older, we lose more bone than we replace. Bone loss is a natural part of aging, but not everyone will lose enough bone density to develop osteoporosis. The best way to counteract the weakening of your bones is with weight-bearing exercises – these can help you build and maintain strong bones. 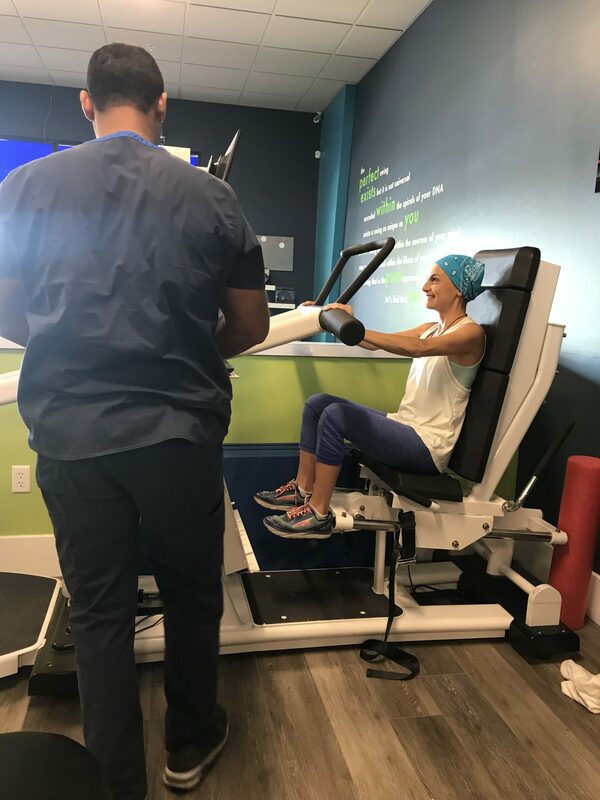 At Synergy Health, we offer Biodensity Therapy and Power Plates to help you increase your bone density without causing pain, muscle soreness or fatigue. Biodensity Therapy optimizes your ability to create osteogenic loading, which results in increased bone density and stronger muscles. Synergy Health is one of the only clinics in the Naples area to offer this innovative exercise therapy. Typically biodensity sessions are performed once a week for 5 minutes and can be combined with whole body vibration sessions that last 20 minutes and are performed 1-2 times a week. During the session, patients perform specialized exercises while being monitored by a trained Synergy Health physician. Learn More. Synergy Health in Naples also utilizes Power Plates to help those with osteoporosis. The Power Plate is a whole body vibration platform that stimulates rapid reflexive muscle responses. The vibrations allow for those with osteoporosis, arthritis and other illnesses to exercise without overexerting themselves. To start your comprehensive bone-strengthening treatment, fill out the form above or call Synergy Health today!